Walter Hurst, today’s Spotlight Employee, has been with WDS for 17 years. His dedication to his job has enabled him to become the most experienced Class-A CDL driver in the Houston area. Before coming to work for WDS, Walter was a liquid tanker driver, and he brought his considerable skill set with him to WDS. Walter’s motivation for joining the team was to spend more time at home with his loving family, and to find satisfaction in his career. In addition to spending time with his family, Walter enjoys taking time to get away to hunt and fish; he also enjoys working on his two pick-up trucks. Walter enjoys the team he works with at WDS, and he always strives to put his best foot forward. His professional attitude has helped him foster relationships with customers and fellow employees alike. His attitude has also made him one of the best at delivering service. 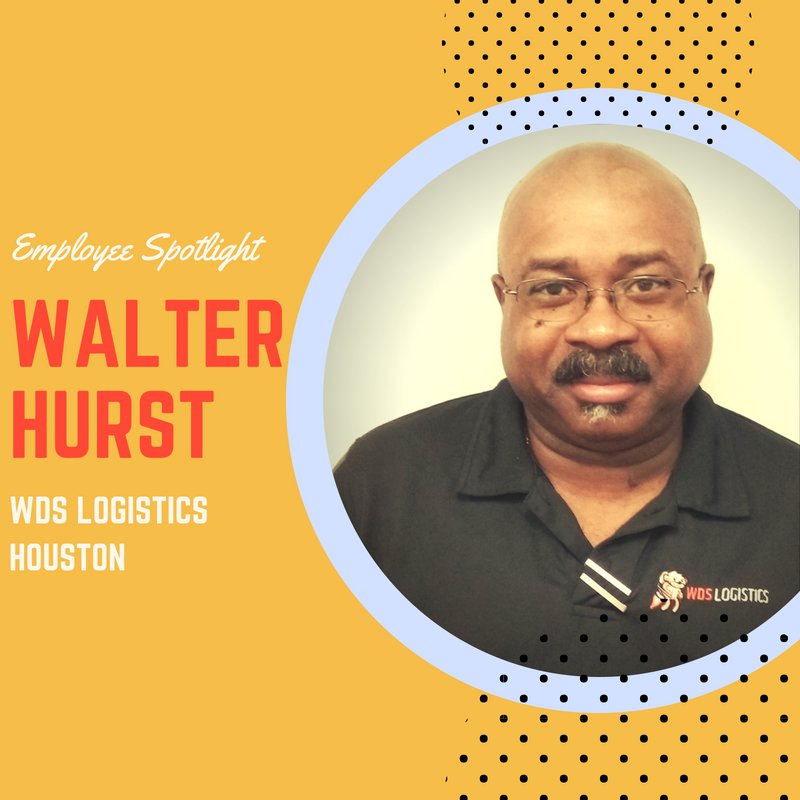 Thank you, Walter, and congratulations on your achievements as the WDS Logistics Spotlight Employee.